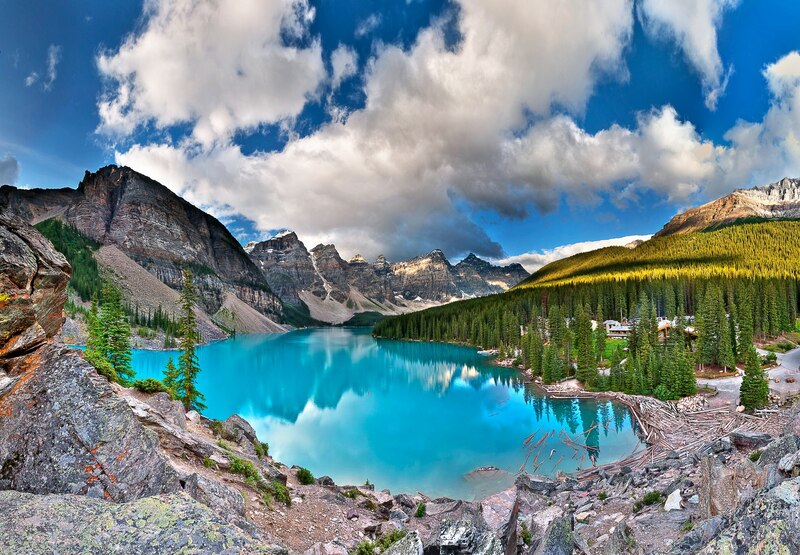 Nestled quietly within Banff National Park in Alberta, Canada, is the incredibly beautiful Moriane Lake. This glacially-fed lake is rather small, with a surface area of only 0.5 square kilometers (0.19 square miles). 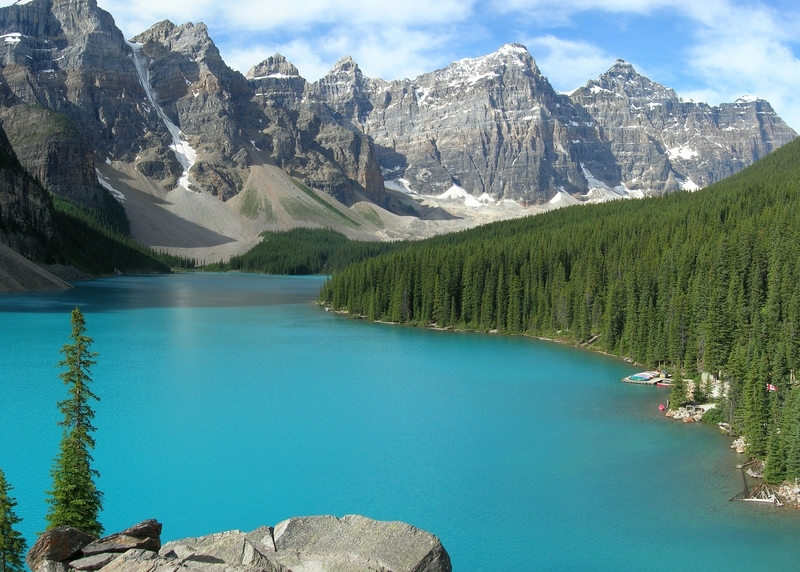 Lake Moriane is a striking blue-green color, caused by the presence of glacial rock flour that refracts sunlight. 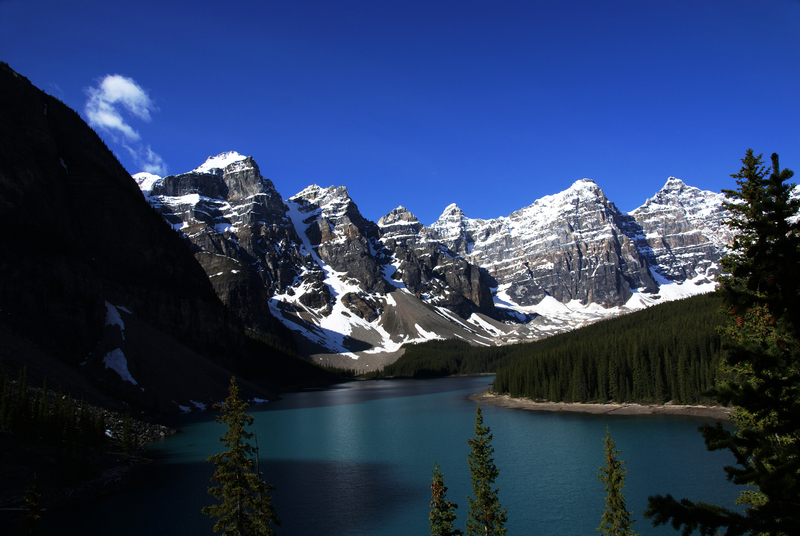 The alpine lake is located at an elevation of 1,885 meters (6,183 feet), and is surrounded by stark mountain peaks. 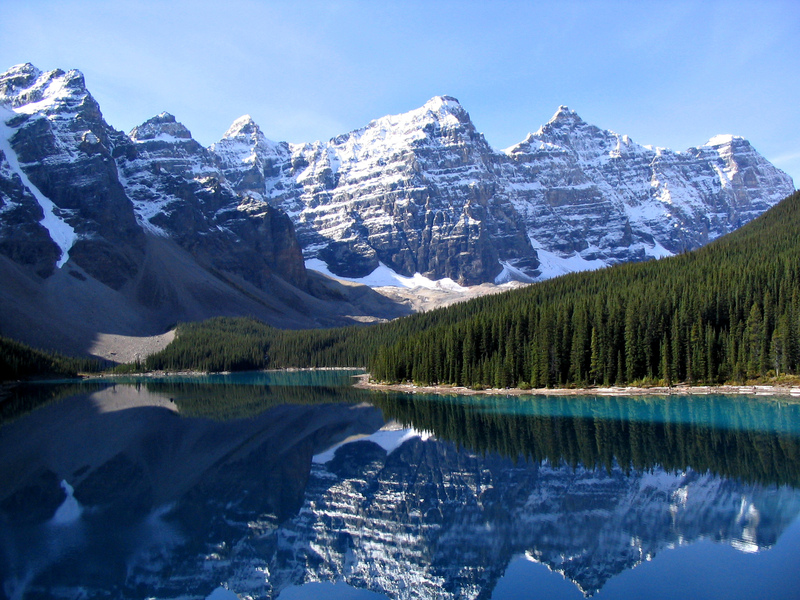 Visitors to this picturesque lake can enjoy hiking in the area, and also check out the other amazing aspects of Banff National Park, such as the lovely Lake Louise.